SaaS monthly subscription pricing model. No hidden costs. No lengthy contracts. 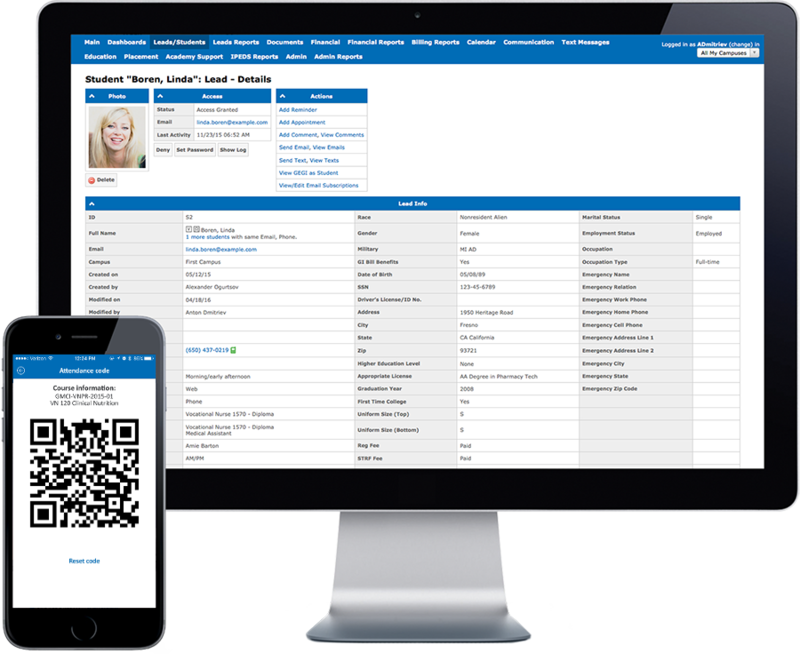 Online Enrollment, FA Packaging, Mobile App Attendance, Automatic SAP report, E-Sign, Mobile App Check-In, Customizable roles for faculty, administrative staff, management and your students. Manage student life cycle from Lead to Prospect, to Enrolled and Active, to Graduated or Dropped. Track leads and conversions; Assess performance of admission team; Track enrollment & Financial Aid; Review SAP and track attendance and grades; Analyze placement data, Accreditors, State, IPEDS, Gainful Employment reports, etc. We constantly implement new features that are embedded into our system. We even let you try us for free. Try our free trial version and see for yourself.